MMA Viking’s goal since 2008 has been to provide a resource for everyone from the casual fan to the most obsessed MMA keyboard warrior to learn about Nordic MMA. Below are some of the frequently asked questions about MMA and the Nordic scene to get you started. If you have any questions or want any additional information, please post a comment at the bottom or send a Tweet to @MMAViking, or send an email to Ryan O’Leary at [email protected]. 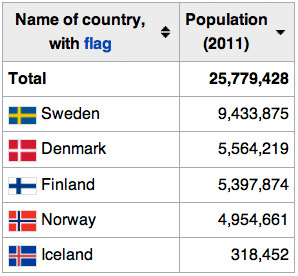 What countries are considered Nordic and Scandinavia? Scandinavia is sometimes used as a synonym for the Nordic countries (but excluding Greenland), despite the fact that that word is most strictly defined to refer only to Denmark, Norway and Sweden. The Nordic countries make up a region in Northern Europe and the North Atlantic which consists of Denmark, Finland, Iceland, Norway and Sweden and their associated territories, the Faroe Islands, Greenland and Åland. MMAViking.com has also began coverage to include Estonia, which is south of Finland. What Nordic countries is MMA legal? MMA is legal in all of the Nordic countries, minus Norway, where both professional boxing and MMA are against the law. Norway however has recently established a Federation to try and get MMA legalized in the country. • Iceland – No sanctioning body, but stay tuned for developments. • Denmark – Legal, but no MMA sanctioning body. The International MMA Federation (IMMAF) is also headquartered in Sweden. This non-profit organization’s goal is to grow MMA internationally. Their website can be found at www.immaf.org. What is the MMA scene like in Sweden? MMA in Sweden is very organized and structured, and there are several established promotions like The Zone FC, Botnia Punishment, Vision Championships, and Superior Challenge that have been consistently putting on shows for several years. Before the most recent boom in MMA, European Vale Tudo (EVT) was putting on events throughout Sweden since the early 2000’s. MMA in Sweden was put on the map in 2012 with the UFC in stockholm, which was a sellout with over 15,000 fans selling out Globen Arenas in less than three hours after going on sale. Learn more about the event held April 14. MMA avoided a proposed ban in 2007, and since that time MMA promotions and events have increased. Events are sanctioned by the Swedish Mixed Martial Arts Federation (SMMAF), which was formed shortly after the “Martial Arts Law” to regulate the legal activity in 2007. For more information, visit www.smmaf.se. What is the MMA scene like in Denmark? Danish MMA is growing quickly, and headed more and more toward mainstream. Insider Tue Kutsikitsoq Trnka was interviewed by MMA Viking in 2011, and here is an excerpt regarding MMA in Denmark. “Fightergalla is the oldest of the current Danish events, and it’s promotor, Carl Otto Knudsen, is like the Godfather of Danish MMA. He has been involved in MMA in Denmark since day one, and he has put on a lot of different events over the years. He was one of the main men behind the now defunct European Vale Tudo, and he moved on to create the smaller-scale Fightergalla, who has more of a local feel to it. Knudsen has actually put on some tremendous fights of high international standards, but unfortunately his events don’t get any attention internationally due to lack of marketing, and many of his events go on unnoticed outside of Scandinavia. Royal Arena was launched in 2012, and has reached the masses with its TV2 deal. Read more about this event. It has since been closed down, and European MMA has taken a big step forward in providing a large Danish promotion, highlighting many of the best Danish and Nordic fighters. MMA and Professional Boxing is illegal in Norway, but describe landscape there. MMA Viking interviewed Tarjei Mørkve, who runs www.mma-norway.com, and he described the attitude in Norway “I think MMA still has a very long road to go in Norway. Professional MMA is still banned along with pro boxing. However I think there is light at the end of the tunnel. There is a lot of misconception about what MMA really is. Some people seem to think its something that’s going on in abandoned industrial basements with no-rules almost “to-the-death” fights. Which is to say the least, pretty far from the truth. So in many ways there is a lot of prejudice, but that is mostly due to lack of knowledge. I still on a weekly basis have to defend MMA from people who have already made up their minds about what MMA is, in some cases even without having ever watched it! That’s quite an accomplishment. The fans though, are growing immensely. For more information from the MMA in Norway interview. The legendary Joachim ”Hellboy” Hansen put Norway on the map with sensational victories in Pride and continued international success. Well known veteran Thomas Moon Lee is also a long-time MMA veteran that is well respected. A couple of MMA fighters have broken through to the UFC, including Dan Everson and grappling heavyweight star Jon Olav Einemo and more recently Simeon Thoresen. Many fighters are starting to making names for themselves fighting internationally, including Jack Hermansson and Emil W. Meek and several others. What is the MMA scene like in Iceland? Currently MMA and Iceland have been synonymous with grappling prodigy Gunnar Nelson, who grew up in Reykjavik, Iceland. 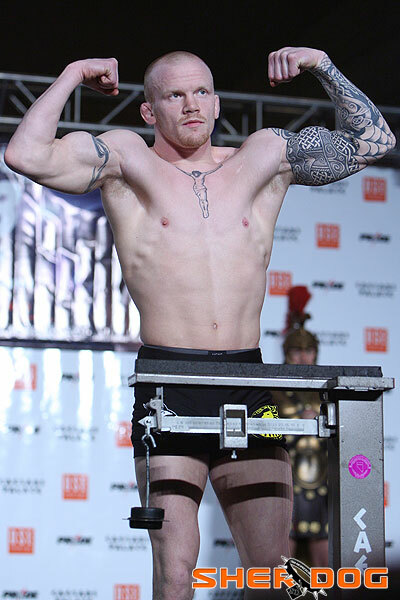 He is undefeated and putting Iceland on the MMA map. Below is an article on MMA Viking about Nelson. “He started with Goju-Ryu karate at the age of 13 and was natural, grabbing medals in all his competitions and eventually being tapped as “Iceland’s most up-and-coming karate talent” at 16. He started training MMA and BJJ at 17, and received belts from Matt Thornton (Straight Blast Gym) and John Kavanagh (SBG Ireland), before earning his BJJ black belt under the legendary Renzo Gracie in 2009. The well schooled and traveled Icelander has taken trips to Hilo, Hawaii, with BJ Penn, and spends time training at SBG Ireland and at SBG Mainline in Manchester with Karl Tanswell. However today, Nelson spends much of his time in New York with Renzo Gracie and John Danaher, among others. There is no sanctioning body for MMA, and professional boxing is against the law. What is MMA like in Finland? “Back in the days Finland was one of the first European countries to hold NHB events so we have pretty long history with the sport. Back then Finn Fight was known all over the world for its authentic no holds barred rules, brutal fights and tough guys. Now days we have two big promotions Fight Festival and Cage which are both among the top promotions in Europe. Both of these constantly put out high quality cards where local stars fight top level EuropeaAdd Newn talent and also North American fighters. I would say that Finnish MMA is doing better than ever at the moment. Loads of young people are signing up for the MMA classes, new gyms are popping up all over the country and there’s an active amateur competition scene. Finland has a strong pedigree in various combat sports, especially in wrestling, but we also have pretty good level of competition in boxing, muay thai, judo, BJJ etc. And if you look at the ADCC submission championships, you can see that Finland is by far the Europe’s number one country in submission wrestling. We have an active base in all of these combat sports and of course also in MMA so I’m sure in the future we’ll see loads of young Finnish MMA fighters breaking into the international MMA scene.” Read the complete interview here. Anton Kuivanen has been signed to the UFC and Marcus Vänttinen has been signed to Bellator, and Finland is making it’s way up the international MMA scene. Is there a listing of events and promotions in each country? MMViking maintains a listing of Nordic MMA events and fighters with bouts abroad at www.mmaviking.com/nordic_calendar. Where can I find a listing of gyms in each country?